Any loss we experience can be painful. Loss can come in many forms such as a sporting loss, a financial loss, a business loss, or losing a loved one. While there are many more different types of losses, each one brings with it an opportunity to revaluate what we could have done differently, if we did not get the result we wanted. The biggest loss, however, we can experience as human beings, is the loss of a loved one. As I write these words, I have just experienced the loss of a well-loved and highly respected family member. As I reflect back on the things I admired and respected about the family member I have lost, it’s very easy to think about what’s missing and what won’t be the same again. While the grieving process is important, we can always find a different way to look at the loss to get through the grieving process. Experiencing a loss can put so many things about our life into perspective. 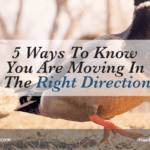 Having these new insights can be the catalyst for new or better decisions, improved relationships, and motivate us to make the changes we know we should make to live a better, more fulfilled life. 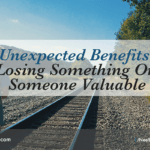 Here are five reasons why a personal loss can change or shift our perspective on things so that we can truly make the most out of life we have been gifted. We question what’s important to us in life. It’s so easy to get caught up in the busyness of life and lose touch with what’s our higher calling or purpose in life. As I believe everything that has been created has a purpose, a loss can often be the trigger to question what we are doing with our life and what’s truly important to us. Here are some questions that will cause you to reflect on what’s important to you. We reflect on the qualities we admired most about the person we have lost. 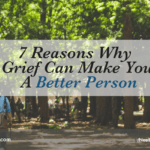 Mourning a loss is part of the grieving process. It can be extremely painful as we remember the special qualities of the person we’ve lost. If we’re able to increase our awareness of the people around us, we’ll soon realise that the qualities we miss about the person we’ve lost is actually present in other people. While a single person may not have all the qualities we miss, they may have some of those qualities. The key is to be aware that energy is forever changing form and expresses itself through different physical forms. We are reminded that our time on Earth is limited. Being reminded of our mortality makes us realise how precious life really is. 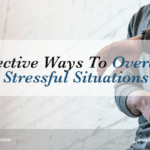 That can be a powerful motivator for us to make important changes in our lives and stop letting our fears prevent us from living the life we want to. We can gain mental strength from the loss. Nothing unites people more strongly than experiencing the loss of a loved one. The support of family and friends can give us the mental strength we need to get through the grieving process. During this period, we may also rekindle old relationships and show the characteristics of a mentally strong person. We are able to turn the loss into a celebration. After-all, wherever there is life, there is also death. Rather than focusing on what we have lost, it’s an opportunity to celebrate the life of the person who’s moved on. It’s a chance to remember what was good about them, what we admired about them, reflect on the legacy they have left behind, and use it as an inspiration to live a better life. Winning and losing are a part of life. 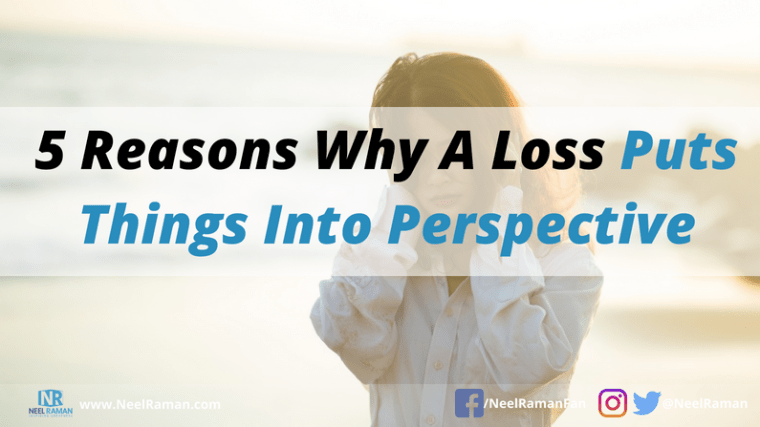 While any loss can be painful, if we’re able to look at it from a different perspective, we’ll realise that there are many lessons for us to learn from the loss. Action Step: Reflect back on any loss you have had and start looking at the loss from a different perspective using the above points as a guide. Question: How have you handled a loss in the past? What have you learned from it?